Last time we spoke, I mentioned that I have been having trouble running on the treadmill without IT band (knee) pain. Well, folks, that has all changed due to two things. The Mizuno Alchemy 12’s I got from the Mezamashii project! I’ll tell you what, these shoes feel great on my feet. I just had to take them out for a mile around the park before I hit the weight room on Friday. …again with the glare, but you get the picture. Two 30 minute runs, the second a little faster than the first, with NO knee pain! I really don’t know if it’s the shoes or the lack of incline, but I’m not going to change a thing. I have been taking it easy, though, I run for 5 minutes, then I walk for one. It works, so I’ll keep doing it for now. As for the weight training portion of the plan, everything is going great. I’m still doing things I’ve never done in the weight room and I’m really starting to see definition in my arms. Today was shoulder day, and as I was doing Lateral Raises, I really saw that shoulder muscle definition. Yay! I’m holding steady at a weight loss of 2 lbs, but I took my measurements yesterday and I’ve lost half an inch around my waist! What brand of running shoes do you wear? I woke up this morning feeling a bit groggy, but after two rest days in a row, I was eager to get back to the gym. After a cup of coffee, half of an apple and some pistachios, I was ready to go! I can’t help but be very proud of myself today. This is the first time I’ve really stuck with a weight training plan. I’m also on my final week of “no cardio” – I’m excited to start back up, but I haven’t necessarily been missing it. The one thing I do miss is being a sweaty mess after a workout. Although I do huff and puff, sweat and feel shaky muscles after these workouts, I’m not dripping with sweat and I kind of miss that. The #Elf4Health challenge for today was to lift weights, and do an exercise you’ve never done before. 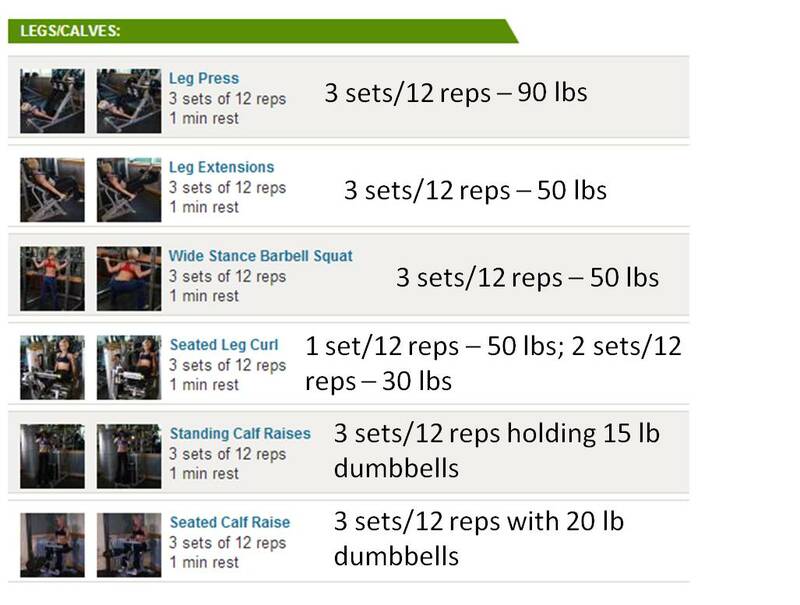 Although I’ve done all of these exercises, I did do something new: I used the Smith Machine rather than just using a free barbell for my squats. I had a discussion with my friend Shane last week about how I used a 50 lb barbell for squats, and even though I knew I could use more weight than that, I was intimidated by the Smith Machine. He said that if he were me, he would be more afraid of using a heavy barbell that he had to lift over his head, and it was a good point, so I went for it. So much better! I was able to really feel the burn on my squats, and it turns out there was no reason to be intimidated. I’m seeing some great improvements in my body from the LiveFit Trainer — I’ve noticed that my arms are looking more toned, and I definitely think I’ve lost an inch here or there. I haven’t measured myself yet (I was going to re-measure after week 4 is over), but I have lost about a pound and a half. I don’t really put my weight (pun not intended) on the number on the scale though, when you’re trying to build muscle mass and lose fat, the scale can be deceiving. This is a good opportunity to talk about the nutrition plan that goes along with LiveFit. I’m not following it. I feel like I could give you a better assessment of the plan if I were following the nutrition and supplement guide, but it’s unrealistic for me. First of all, I don’t eat like a fitness model, and I don’t really have any desire to do so. I like carbs, and I feel like you can eat healthy, and build muscle, with a carbohydrate rich diet. Secondly, I don’t have the money to spend on the endless supplements that serious weight trainers use. So, that part of the plan isn’t realistic, but I think it’s important to note that I am seeing the results I desire. I can feel the muscle that I’m building, my clothes are fitting better, and I feel great. One last note, and I apologize that this post is getting lengthy. Last night, I got my new Oxygen magazine (hooray!) and there was an article about how weight training can help you stave off the common cold. I certainly hope that is true, because Zach has been sick with a bad cold all week and I have managed to stay away from it (so far!). Knock on wood! Have you ever followed a weight training plan? I’m pleased to announce that my new push to get back on track after my recent weight gain has been a success for three days now! I have been eating well and my workouts have been on point. I’m treating each successful day like it’s own victory! As long as I don’t try to reward myself with food, haha. I woke up bright and early this morning and walked to the gym. It was quite a bit colder outside this morning than it has been — there was a thick layer of frost on all the cars and when I got to the gym my ears were already numb. I don’t think I’m quite ready for winter yet! Image courtesy of Bodybuilding.com; This is the exact set-up my gym has, by the way. This is something I’ve never done before today. It took some trial and error to figure out how much weight to put on the bar. I initially tried with 2-25 lb plates, but that was pretty ambitious, so I took it down to a 35 lb plate. I did one set with the 35 lb plate and it was pretty tough so I took it down to one 25 lb plate, which kept it challenging but I wasn’t sacrificing form. I really liked this exercise! One thing I really like about the LiveFit Trainer is that it’s familiarizing me with the weight room at the gym. Prior to doing this program, I went to the weight room, kept to myself, and stuck to the exercises I know. Now, I’m using new equipment and asking for help from the people who work there. I used to be afraid to do this, but it turns out that they are more than happy to help — that’s why they are there, and otherwise they are just standing around. Plus, usually people who work at the gym are interested in fitness, so they give you pointers and show you new exercises. The same guy is working in the weight room each morning, so now he’s familiar with what I’m doing and he gives me tips on form, and suggests new ways to do exercises. This exercise was not new to me prior to doing this program, but I was pretty proud of myself this morning for upping my weight on this exercise. I usually top out at 12 lb dumbbells in the weight room, but today I thought I’d try the 15 lb dumbbells for this last exercise. It was tough, but I didn’t sacrifice my form! I know in order to see a change in my body, I need to be pushing the limits with my weights, and hopefully I can keep doing that with this program. I have to say, I thought it was going to be much tougher to skip out on cardio for 4 weeks. Granted, I’m only on Day 2 of Week 3, but I haven’t missed it much. Like I mentioned before, I haven’t totally cut out my cardio, but I have drastically reduced it (I think I’ve only done 3 cardio sessions total since I started). I haven’t lost any weight since I started (I did see a reduction on the scale, but it came back a couple days later — do fluctuations like that happen to anyone else? ), but I have noticed that my body is looking — tighter. I had noticed some extra flab recently, and in week 3 of this program, I’m feeling tighter and definitely stronger. Yep! Can you believe that there is no flour in this!? I definitely doesn’t have the ‘cakey’ consistency of a typical pancake, but it’s pretty similar. I added a little pumpkin pie spice to mine and topped it with half a tablespoon each of Sunflower Butter and Honey. This pancake packs a protein punch: Mine had a whopping 16 grams after I added the sunflower seed butter on top, and it was so good! Like a protein pancake, it takes some maneuvering to flip without making it into a mess, but I was surprised how thick it became. After I took this photo, I cut it in half and put one half in a container to eat at work. 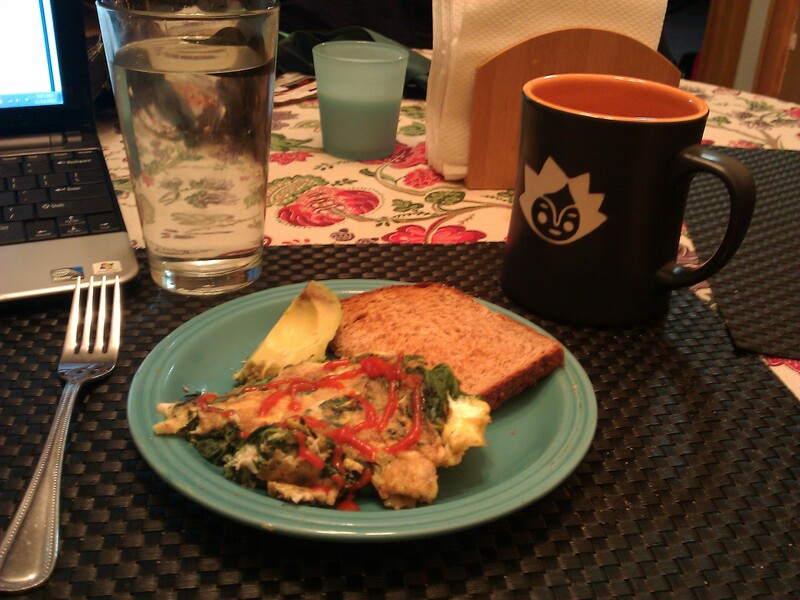 I’m loving the idea of eating half of my breakfast at home and half at work. Although I’m eating the same amount of food, I think it keeps me satisfied longer…? That’s probably all in my head, but I’m a firm believer that it still works, even if it is all in your head! Hopefully I’ll have a second post for you today, in the form of a veggie burger recipe round up! 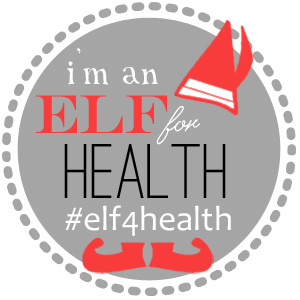 Boy, am I loving the #Elf4Health challenge! It has really pushed me to get back on track with my health and fitness. Yesterday was hard, you guys. As I have mentioned a few times here, I have put on a few pounds since August. Ok, let’s be honest: I’ve gained approximately 7 pounds since August. A little more than 2 lbs a month. Things that I know I can do to combat the weight gain: Track my calories, increase my weight training and decrease my cardio (i.e., running). I know that last one sounds counterintuitive, but when I’m running a lot, I get hungry, and when I’m hungry, I eat. I will not starve myself! Anywho, yesterday I woke up at 3:00 AM feeling just….terrible about myself. Negative thoughts were racing through my head and I just felt bad about myself. I have no idea why my negative thoughts choose to manifest themselves at 3:00 AM, but it’s quite annoying. I decided that it was time to use the skills that I already have to get rid of the extra weight. Luckily, the #Elf4Health Challenge is in full swing! Go Meatless! — I shared my favorite meatless recipe with my (vegan) partner (Mama Pea’s Roasted Chickpea Tacos — yum! ), and I made myself a new veggie burger recipe. I used to make myself veggie burgers all the time — homemade are so much better than the frozen store-bought ones — but I’ve fallen out of the habit. Zach and I have burger night at least once a week, and I’ve been lazy and just eating his beef burgers, which I know isn’t good for me. The veggie burgers are so much healthier. So I made a batch of these mushroom veggie burgers and boy, am I glad I did. I can’t wait to have another for lunch! In fact, it has inspired me to do a post on a veggie burger recipe round-up tomorrow. So, to say that this challenge has benefited me would be absolutely correct. I’m “meeting” new people (and finding new blogs to read — my favorite!) and trying new things, and most importantly, getting things done! Just a sample of yesterday’s food log. Logging keeps you accountable for what you eat and it makes you conscious of your food choices. It’s easy to do, especially with the internet and smart phones, but even if you prefer writing everything down, it’s easy enough to keep a notebook on you all the time. It works if you are trying to lose weight — it is the #1 thing you should do if you want to lose weight. It has been proven that if the only thing you do is start writing down everything you eat, you will lose weight. 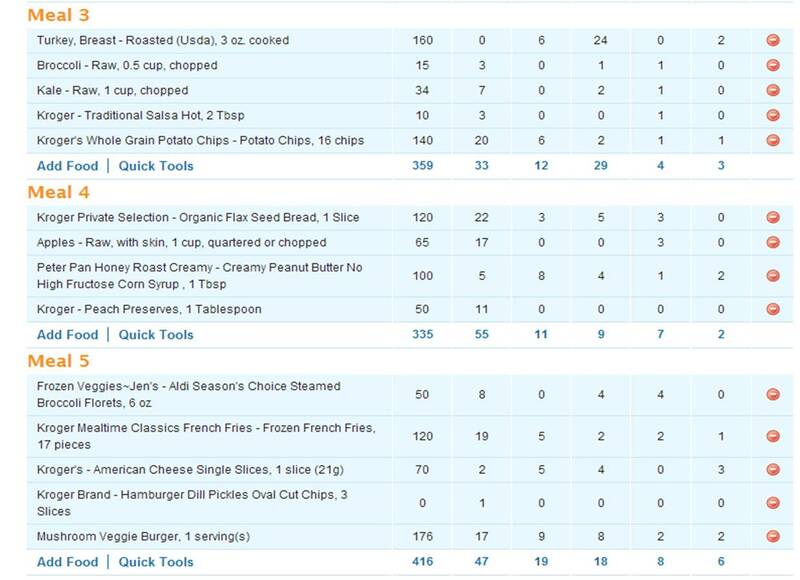 It’s easy to keep track of all your macros (protein, fat, carbs, etc) to see what you’re getting too much of or not enough of. It makes me feel tied down. Yep, that’s the only con I have, but it’s a big one because it provides this huge mental block for me. I feel tied down to this app, like I can’t just do what I want. I get kind of down on myself, like, “I should be able to eat sensibly without this ball and chain!” I don’t have a fear of commitment until it comes to my diet, it turns out. Well, yes, I can eat sensibly without it. I did it for over a year. But sometimes you need to re-set. Sometimes you need to be strict with yourself to re-learn lost lessons, and that’s what I’m doing by logging again. I make a lot of promises on this blog — sometimes I keep them, sometimes I don’t, but today I’m pledging to stick with logging my meals for one month — taking a break for my birthday/Christmas (same day). I need to re-learn lost lessons. If I’ve seen progress in that month (which, duh, of course I will! ), then I will reassess. Please follow me on Twitter, Facebook, Instagram — whatever! — and get on me to keep it up, please! What do you find is your biggest challenge as far as sticking with a healthy lifestyle? I Just Want to Run!! …and the longing began. I had originally planned to sign up for the Turkey Trot after I finished the half-marathon, but then I injured myself in mile 8 of my half. Obviously, on Monday, when I was barely able to walk, I had written the run off completely. But now, after a few days of rest, my legs feel fine, so I’m seriously considering signing up for the race. 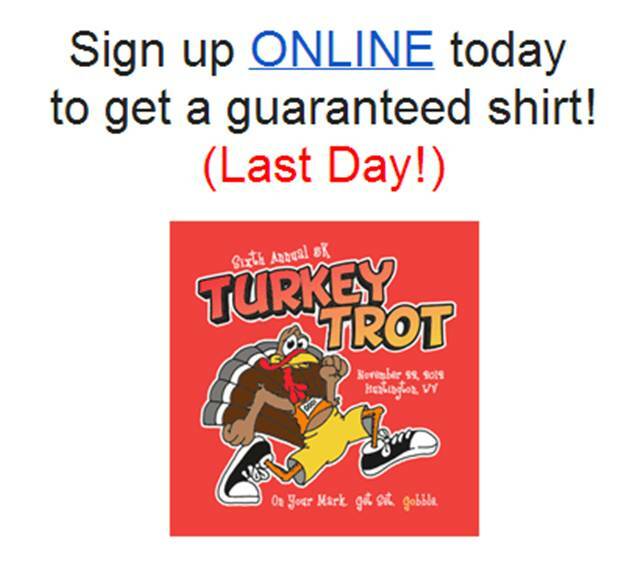 I love Turkey Trots! Two years ago, after I finished my first half marathon, I ran the Turkey Trot and got my best 5k time ever. Also, today is payday, so I’m itching to pull out the old credit card and sign up. Let me know if you think I should do it or not in the comments below. I was definitely out of my comfort zone today, because instead of just going upstairs to use the Nautilus machines, I stayed down in the weight room and used the machines that you have to add your own plates to. I even had to ask the guy who was working at the gym to show me how to use some of them. This is something I would have never done before. Usually I just stick to what I know, or just wait until someone else uses a machine so I can see how they do it. Ok, so I looked ahead a bit in the plan, and after tomorrow I have 3 rest days!? In a row! I don’t know if I can go three whole days without working out. I know I’ve committed to this program, but I might be sneaking in a little something something during those three days. 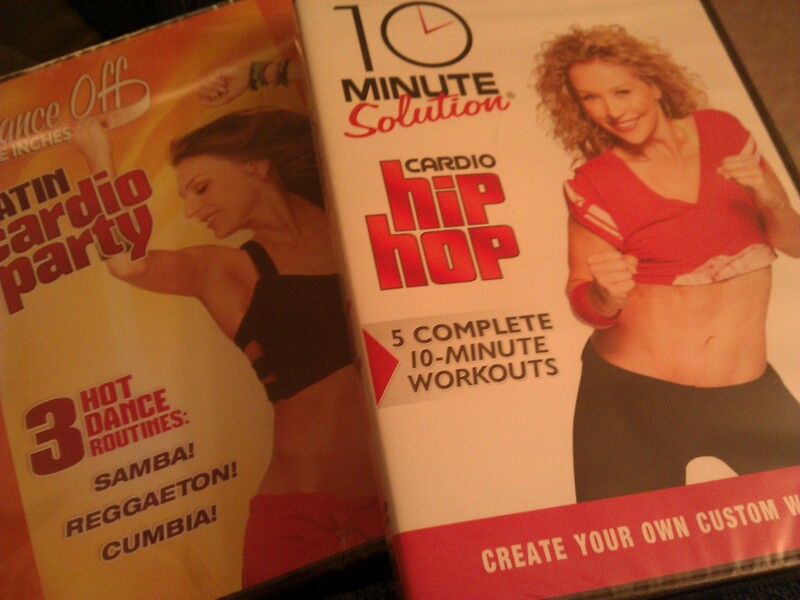 The dance DVD’s I won from Cait Plus Ate are calling to me, and to be honest, I really want to try running. Jamie is very clear that you are to do no cardio for 4 weeks, but I honestly don’t think I can follow that to a T. Running and working out to DVD’s is fun to me, and I can’t imagine just not doing anything at all for 3 days. We’ll see how it goes. One more quick update! I’ve been sleeping amazingly well the past couple of weeks. My secret? Ear plugs! I was a bit afraid that I wouldn’t wake up to my alarm because I couldn’t hear it, but that hasn’t been an issue for two reasons: 1, because I actually can hear my alarm through the ear plugs, albeit faintly, but my body knows what that sound means, and 2, because I usually wake up without my alarm because I’m so well rested! Amazing, huh? What is the maximum amount of rest days you’ve taken in a row? If you visit my blog via a reader of some sort, please click to go to the main blog and tell me what you think of my new layout! I work at my local library, but I’m not a librarian. I work in the Administration Department, and one of my jobs is Wellness Coordinator. Our health insurance provider requires that each work site has an on-site Wellness Coordinator, who is sort of the liaison between the benefits coordinator (the person who manages paying the premiums, which in my office is the Business Manager), and the insured, everyone else who is insured. My job is to provide wellness support to the staff. This is also the most exciting part of my job, as you can imagine, because I am so interested in health and fitness. Once a year, I host an on-site health screening, where the insured employees can come in to get a complete blood panel, and get all of their vitals taken. After the results are tallied, the insured gets a red, yellow or green light — obviously green meaning you are in good health, yellow meaning you have some work to do and red meaning you have a lot of work to do. If you get a yellow or a red light, there are programs in place to help you improve your score for the next plan year. Today was our health screening! I’m happy to say it went very well. My quota was 30 participants, and I got 33 participants! Hooray! 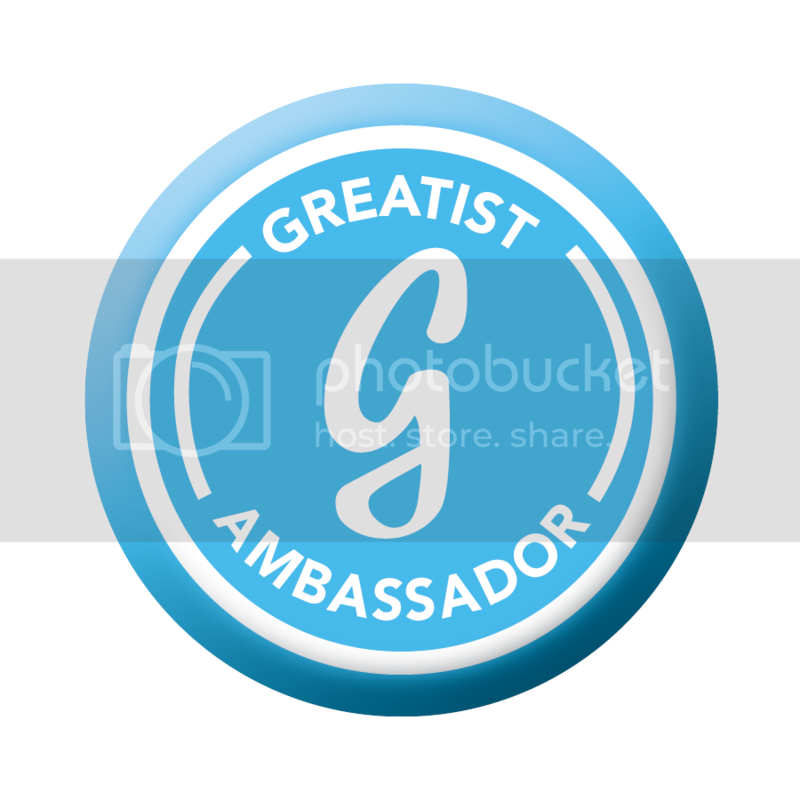 Since the participants have to fast for 12 hours prior to the screening, I also had to provide a healthy breakfast — I laid out whole grain bagels with neufchatel cheese, fresh fruit and whole grain breakfast bars, as well as 100% juice, coffee and water. It’s still weird to me just going to the gym, hitting the weight room for 30 minutes, and then leaving, but I can definitely feel it! I’m still sore from yesterday’s chest/triceps workout, and I anticipate my back/biceps being sore tomorrow. I’m definitely trying to challenge myself with the weight. I wasn’t able to eat within an hour of waking up today because of the health screening, however. I can’t wait to try them out, but since I have pledged no cardio for four weeks, it might be a while. I promise to review them here once I try them though!